At every conference and trade show I’ve attended this year, one major topic came up without fail: plastics recycling. This isn’t a new initiative and it’s certainly not going away anytime soon. Not with the plastics recycling rate hovering around 8%, according to figures from the EPA. But it’s not as if people don’t have the opportunity to recycle. 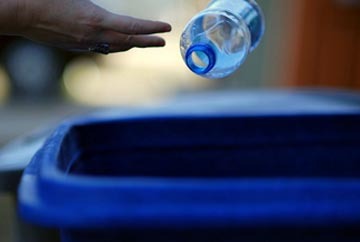 After all, the American Chemistry Council (ACC) says more than 80% of Americans have easy access to plastics recycling opportunities, whether you participate in a municipal curbside program or live near a drop-off site. Still, a national survey found that most Americans aren’t feeling confident they’re doing enough to help the environment and most say they don’t know how, according to ACC’s Plastics Make it Possible, which commissioned the survey by Kelton Research. Only 37% of Americans in the survey say they’re “doing enough for the environment,” and less than half (46%) say they are “knowledgeable about what it takes to be eco-friendly in my daily life.” Two-thirds of Americans say they would like to learn some simple steps that can help the planet. Well, I guess you can say it’s good to know that people do want to help and learn how to be “eco-friendly.” People should be encouraged to recycle for many reasons, and the industry definitely has a business case for it. According to a new industry study from ReportLinker, U.S. demand for post-consumer recycled plastics is forecast to rise 5.9% per year to 3.4 billion lb in 2016. This increase will be driven by a number of factors, including a growing emphasis on sustainability among packaging and consumer product manufacturers, advancements in processing and sorting technologies allowing a wider variety of plastic to be recycled, and an improved collection infrastructure that raises the plastic recycling rate, the study states. Continued support by federal, state, and local governments for recycling efforts will also provide a significant boost to recycled plastic collection, processing, and demand. Packaging will continue to be the leading market for recycled plastic in 2016, with the strongest gains expected for food and beverage bottles and clamshell containers, fueled by rising production of recycled resins suitable for food contact uses. However, the overall rate of plastic recycling in the U.S. will remain relatively low — 6.5% of total plastic demand in 2016 — as the study reports the industry faces a number of challenges. Recycling is minimal in several major plastic markets, including construction products, motor vehicles (other than batteries), and packaging film, due to a lack of collection capability or economical processing. Export sales (particularly to China) siphon off a substantial portion of plastic scrap, and much of what is processed domestically has high levels of contamination. As a result, only 53% of the plastic collected for recycling makes its way to manufactured products in the U.S. market. Still, the report says that bottles will remain the leading source of plastic for recycling, accounting for about half of all plastic collected in 2016. More rapid gains, however, are forecast for other sources, particularly rigid plastics, film, and carpet. In addition, the recycling industry has put significant efforts into increasing the collection of rigid plastic, including thermoformed packaging and bulk containers, particularly at the commercial level. Polyethylene terephthalate (PET) and high density polyethylene (HDPE) were the two leading resins used in recycled plastic products in 2011, accounting for over 70% of demand. Recycling rates may slowly be increasing, but we have a long way to go. With so much easy access to recycling, why aren’t more consumers taking advantage of recycling opportunities? For instance, when I was in Seattle, which is a place full of various recycling and composting bins, I still saw people throw away their packaging into the trash cans. It’s almost criminal to have a recycling solution be so easily accessible, yet many people choose to ignore it. It really makes me believe that most people have no clue what can be recycled and what can’t. In 1988, the resin identification coding system for plastic, represented by the numbers on the bottom of plastic containers, was introduced by SPI, the plastics industry trade association. The SPI coding system offered a way to identify the resin content of bottles and containers. The idea was for consumers to use this information to determine whether or not certain plastic types are collected for recycling in their area. Some people believe that the resin codes are too confusing for people to understand. Contrary to common belief, just because a plastic product has the resin number in a triangle, which looks very similar to the recycling symbol, it does not mean it is collected for recycling, EPA says. Fighting confusion is one reason The Sustainable Packaging Coalition (SPC), a project of sustainability nonprofit GreenBlue, launched its How2Recycle on-package recycling labeling system. SPC says that while several other recycling labels and symbols exist, the How2Recycle Label is the only one that communicates recyclability across all material types and gives explicit directions to consumers to influence their recycling behavior. It also specifies when a package component is not recyclable. The How2Recycle Label will be appearing on a new juice product from Minute Maid, Clorox’s Scoop Away products, and select Exclusive Brands products from Best Buy. The How2Recycle Label can already be found on numerous products available in the marketplace, including Esteé Lauder’s Aveda Outer Peace Acne Pads, a variety of Kirkland products from Costco Wholesale, and General Mills’ Yoplait yogurt brand. The soft launch of the label will run through the first quarter of 2013. Full implementation of the label will begin thereafter and will incorporate feedback gathered during the soft launch period from consumers, retailers, participating companies, local governments, trade associations and recyclers. SPC plans to add up to 20 additional participants after the soft launch phase and aims for the label to appear on the majority of consumer product packaging by 2016. Will this label help increase recycling rates? Time will tell. The Kelton Research survey did find that while many Americans may not know how to be “eco-friendly,” most are doing at least something to find out, more than three quarters (78%) say they have taken some action to learn more about which products are collected for recycling in their community.